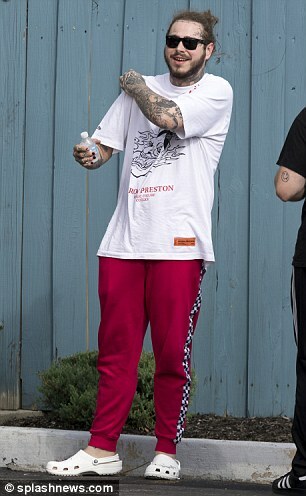 This is the moment rapper Post Malone is seen bracing himself for an emergency landing on a private plane in New York yesterday. Video footage posted on Instagram by his manager Dre London shows passengers grabbing onto their legs in a brace position. 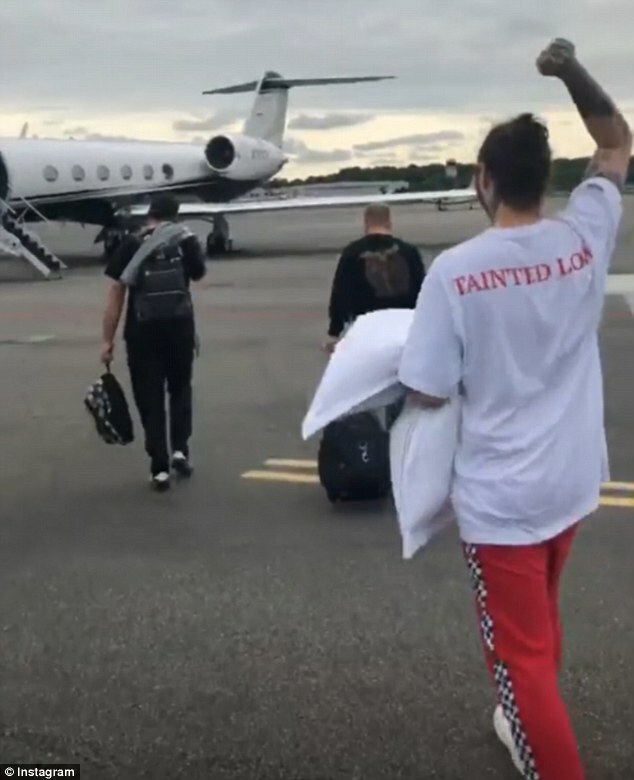 Two of the plane’s landing tires had blown shortly after take-off as Post Malone and his crew were travelling to London, UK. 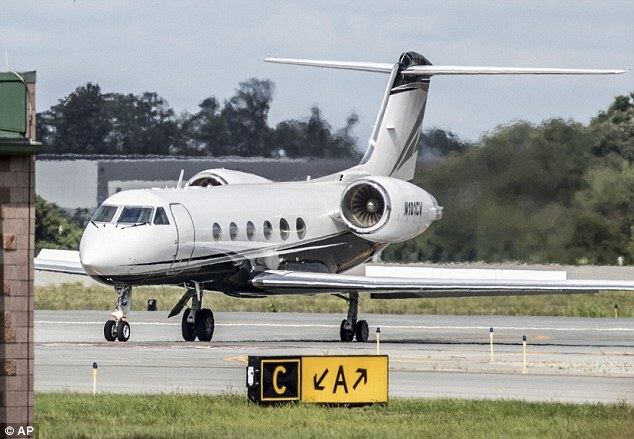 The private jet, carrying the rapper and his 15-strong entourage, made a safe emergency landing after circling in the air for five hours to burn fuel. The troubled plane landed at New York Stewart International Airport in Newburgh, about 70 miles north of New York City, on Tuesday at about 4pm. 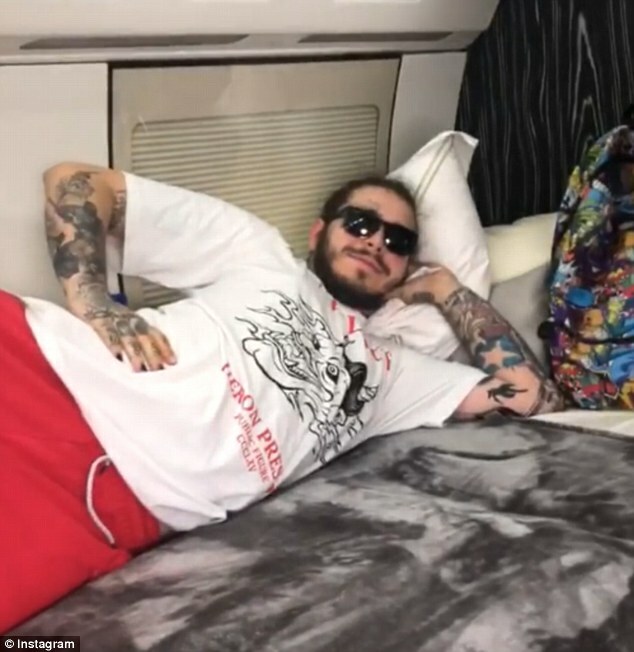 Malone tweeted shortly after stepping from the plane: ‘I landed guys. Thank you for your prayers. ‘Can’t believe how many people wished death on me on this website. F**k you. But not today’. 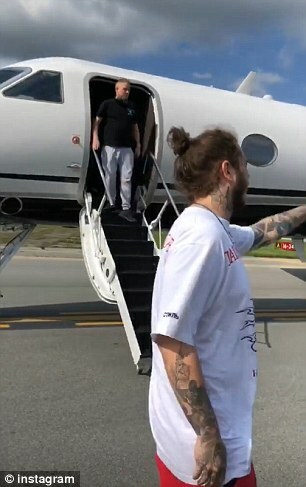 Speaking to TMZ after landing, Malone said: ‘Oh, my God, I hate flying in general. I don’t even know what to say, man. I’m shook. 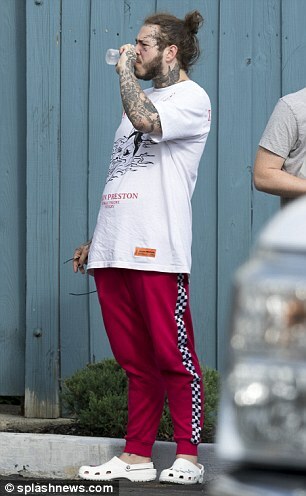 Malone’s plane was en route to London early Tuesday when the pilot realized that the left main tires had blown shortly after takeoff at 10.50am from a small New Jersey airport. 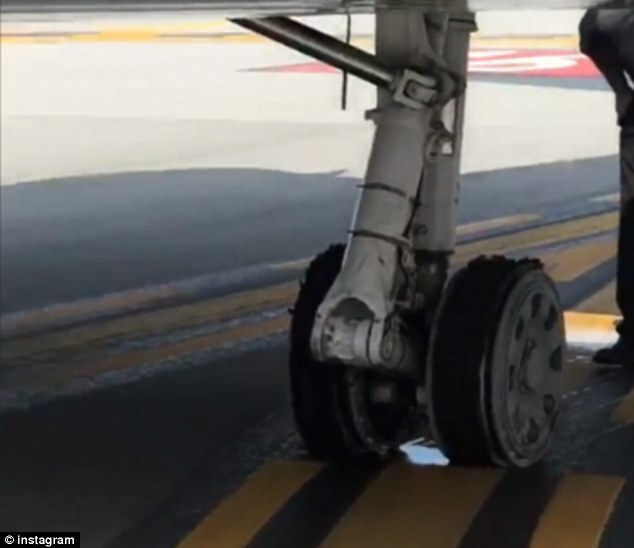 The Federal Aviation Administration initially said the plane would be landing at Westfield-Barnes Regional Airport in Westfield, Massachusetts before being re-routed to New York. 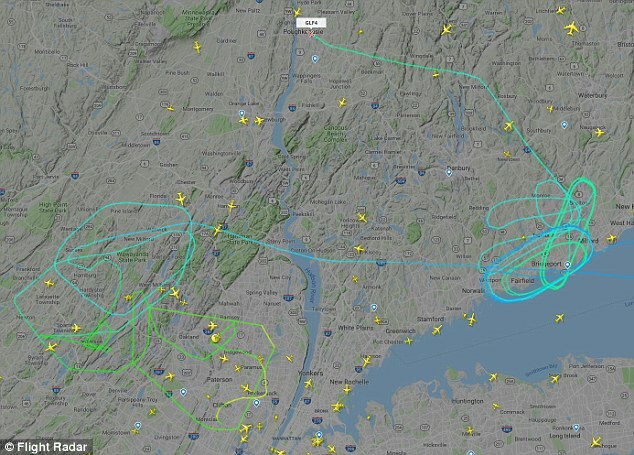 Flight trackers showed the plane circling over Connecticut shortly after 1pm before making its way towards the New York airport just before 3pm. 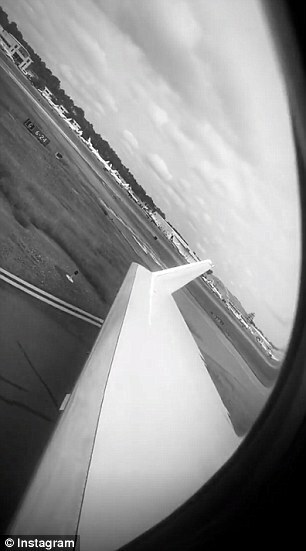 The plane had enough fuel to fly to London so was forced to circle for about five hours. 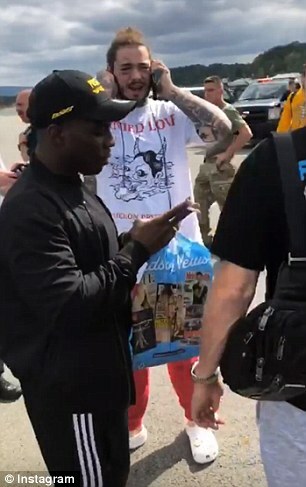 Fans of the face-tattooed singer flooded the New York airport and cheered when the flight eventually landed. The Gulfstream IV jet was met by multiple fire crews and EMTs. 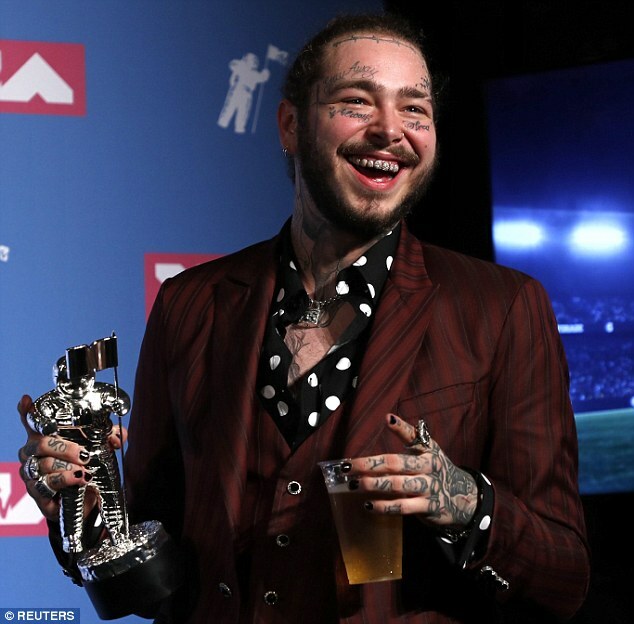 Malone performed at the VMA awards in New York on Monday night and took home the song of the year award for his hit Rockstar. He was joined on stage by rockers Aerosmith and 21 Savage for a performance that closed out the awards show. The 23-year-old boarded the plane bound for London just hours after his win and a heavy night of celebrating. Instagram posts from his entourage showed them boarding the jet and taking off from the New Jersey airport. 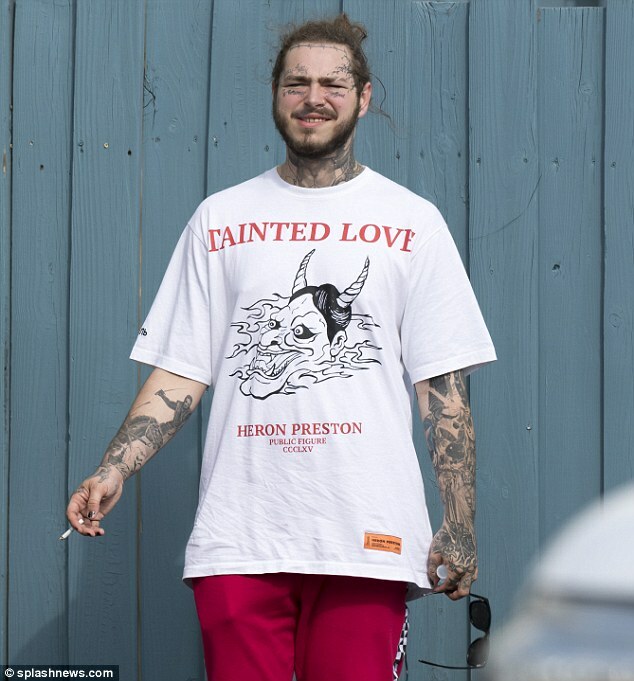 Malone was flying to the UK ahead of his scheduled performance at the Reading and Leeds Festival in England over the weekend.